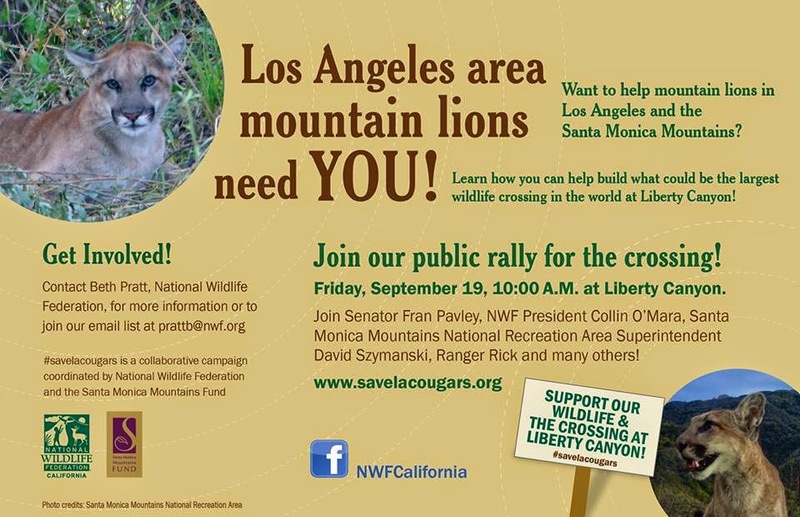 The flier says it all, but the public rally is just the beginning of the Liberty Canyon Wildlife Crossing campaign. This project already has the support of the National Park Service, the National Wildlife Federation, a wide assortment of local politicians and Caltrans, the government agency with the authority to build the overpass, but the project also needs support from the public to make it a reality. 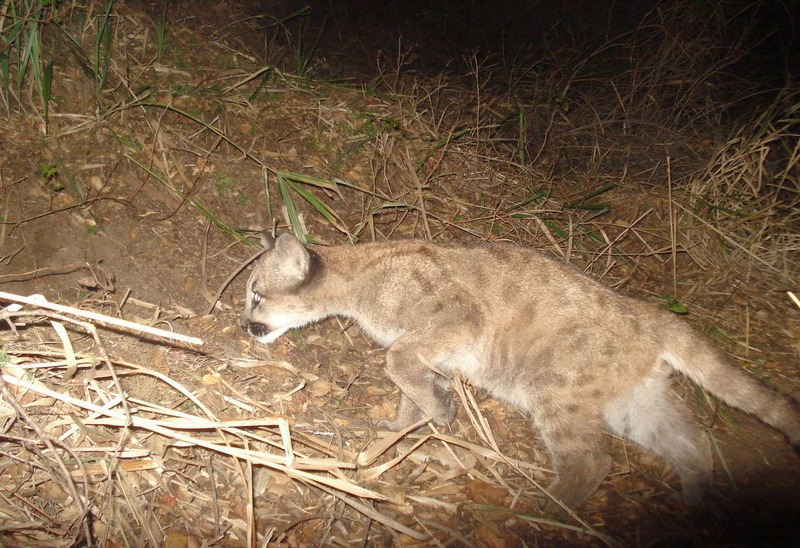 Malibu's Mountain lions and many other wildlife species are in trouble. National Park Service research increasing reveals how The 101 freeway has transformed the Santa Monica Mountains into an island, isolating animal populations and creating a genetic bottleneck that could eventually lead to extinction. For many years, conservationists have sought a wildlife underpass. 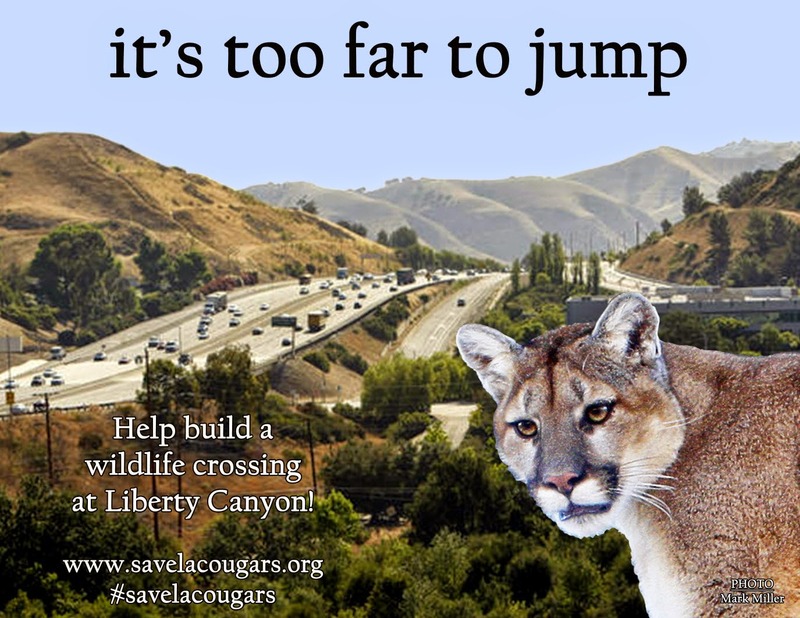 That proposal has gained traction recently and a more ambitious and effective solution is now being developed, a wildlife overpass at Liberty Canyon that will enable many species of animal, including mountain lions, to safely cross the highway, increasing genetic diversity and allowing young animals to disperse into a range that extends all the way into the Los Padres National Forest. 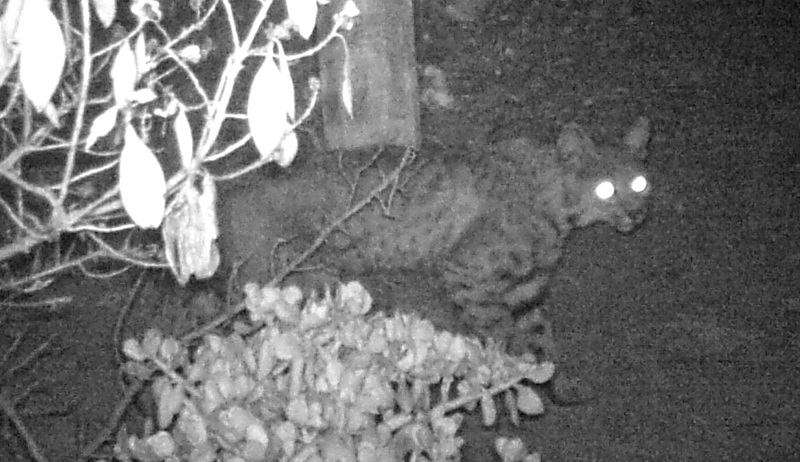 According to the experts, if this project is successful, it will offer a safe, vegetated crossing that can be used by all of our surviving big animal species: mountain lions, bobcats, mule deer, but also by smaller species: weasels, badgers, raccoons, gray foxes, lizards, snakes, even birds. Although high fliers can easily cross obstacles like freeways, ground species and low fliers like quail can't. And even though owls look large and sturdy they are lightweight and easily caught in the slipstream of passing cars. Wildlife experts say that an overpass could offer critical connectivity for these species, as well as the more high profile animals. Conservationists see the Liberty Canyon Wildlife Crossing as a major first step, a philosophical bridge as well as a physical one, that has the potential to inspire a network of overpasses and underpasses throughout the greater Los Angeles area, reconnecting the remaining islands of open space with the mountains that ring the LA basin. 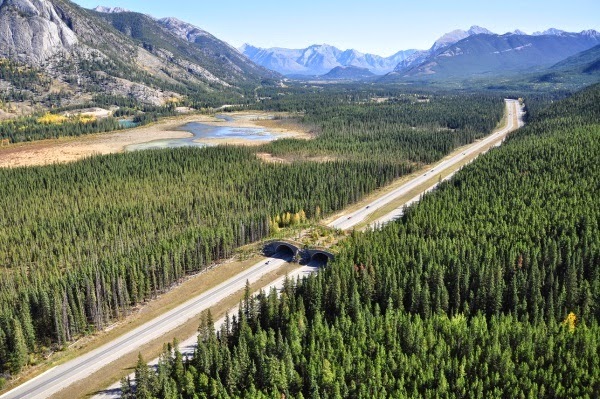 There are 22 underpasses and two vegetated wildlife freeway overpasses in the Canadian Rockies. This overpass is near Banff and is routinely used by deer, elk, wolves, grizzly bears, moose, and many other species. It's not a perfect solution, but it has been proven to help reduce the number of road kills and substantially improve wildlife connectivity. This isn't a new idea. Wildlife overpasses and underpasses have been successfully used in other parts of the world for decades. Europe has pioneered the concept. There are badger crossings in the Netherlands, and deer and mountain goat passes throughout the Swiss and French alps. The concept has spread. There are now elephant underpasses in Africa, camel crossings in the Middle East and plenty of US wildlife crossing projects for everything from desert tortoises in the Mojave Desert to Salamanders in New England. There is substantial scientific evidence that crossings are effective, and there's no reason they can't work here equally well. Like the proposed Rim of the Valley National Recreation Area and the restoration of the LA River, this is ambitious vision, and one that may not be accomplished in our lifetimes, but this first step, the Liberty Canyon project, is in reach. We can do this if we all work together. Many European countries have used wildlife overpasses and ecoducts for decades There is substantial—and encouraging—data on their effectiveness. France built the first in the 1950s. 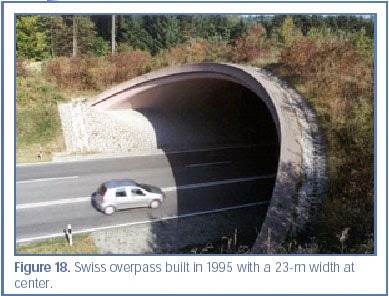 Here's a photo of a vegetated overpass in Switzerland that I borrowed from this Federal Highway Administration report. 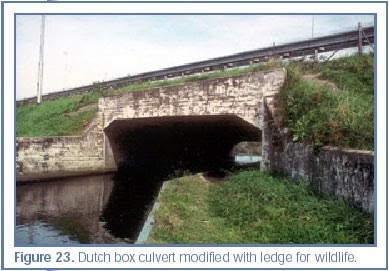 Blow is a Dutch culvert, modified to accommodate badgers and other wildlife, from the same report. I wrote an extensive article for the Malibu Surfside News on the overpass project, which will be online at http://www.malibusurfsidenews later this week, and I will be covering the rally on Friday for the paper. I hope to see some of you there. In a time when so much news is bad news it's nice to know good things can happen, too.